Brian has over twenty-nine years of public accounting experience, including the last twenty-two years with the accounting services of Duvall & Associates, Inc. His experience includes a wide range of client services, including audits, reviews, compilations, special attestation functions and tax consulting. He has dealt primarily with closely-held companies in the health care, professional service and food service industries. Brian's expertise also includes estate and trust taxation. 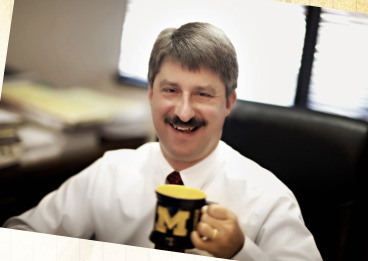 Brian received his Bachelor of Science degree in Business Accountancy from Ferris State University in 1981. He is a member of the Ohio Society of CPAs and the AICPA. He has served as treasurer for several not-for-profit organizations and currently serves on the audit committee for his church. What you might not know about Brian? He’s originally from Michigan (and gets lots of ribbing from the OSU fans in-house) where he grew up on the family farm.